Clock, Warning, Crop Circle or Hoax? On December 30, 2013 a 310 foot wide Crop Circle was discovered six miles southeast of Salinas, CA. The initial reports were of Security guards that were there for crowd control to stop the place from "Becoming a circus". The home office of the Security guards was contacted and would not give any information about the Circle. Comments online were immediate and pro-alien on social media sites. P.H. - This shows that there is a "plugged in group" out there that just "WANTS TO KNOW"! They are ready. M.L. - Never Mind I realized that there is no recorded ley line anywhere near Salinas CA. That's not to say that there's nothing to this. I've just found that most crop circles are on on ley lines. W.P. - Qhat is interesting is why Echelon Security was thier and decided to plow under what whole thing. Evidence? Another 9-11 clean up job. Just saying. P.H. - Not any old chip, cut a camera CCD Chip! This means that we will all photograph a smiley-faced comet going past, on a date given by the three planets as shown! I do not wish to commit myself to a specific date yet, but it cannot be long. Two comets Lovejoy and Ison are flying in our sky now Do you understand the basic metaphor? It is based originally on the "Polar Clock" from Manton Drove on June 2, 2012. The overall image was a "Polar Clock". As you may recall, another "Polar Clock" was prepared in cultures Manton Drove near Marlborough, England, June 2, 2012. And predicted success for a safe landing on Mars, NASA's Curiosity Rover, two months after its date indicated on August 5, 2012. This new "Polar Clock" in, California shows a "bright comet long-tailed" as the astronomical event planned: Inside we can see the "CCD Chip with a digital camera" This could imply that many people on Earth will be photographing a bright comet in the early months of 2014. The internal code shows a short message in Braille that says "192-192-2-192-1-192-192" This can be a symbolic reference to the British Search engine "192.com". Its implication could be that "the blind will see, and those that seek will find"
Intermediate code has a number of alphabetic characters in Morse code. The seem to read: "The ET B-SON STS" meaning ""ET B(s)" or "Extraterrestrials exist. A second interpretation of his Braille code "1-9-2" in terms of "hours" along the face of a "Polar Clock". 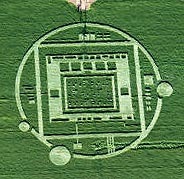 Nvidia announced that this Crop circle was a promotion for thier new Tegra K1 video processor. They said that this was approved by thier promotional department because of a "shoestring budget". The UFO believers have been quiet, but a few refuse to admit that it is a hoax. Frank Sumption - Right... gonna destroy the entire field for a stunt that no one is going to understand. Believe it---NOT! A.M. - This complicated symbolism could only have only been done with computers at some kind of high-tech art college, costing tens of thousands of dollars, and the it would have to be beamed down to the ground with unknown technology, probably costing millions. The military could not afford to do this and it would have to show up in the accounts. Note also the outer ring crosses over some ragged lines already done by the farmer, and fakers on the ground would have avoided this. The circle was commissioned by Nvidia to promote a new video processor for mobile devices. The Security guards were there to keep the crowds in control. They were not Echelon security and it was not immediatly taken down. The 192 in the circle represented the 192 cores in the new processor. 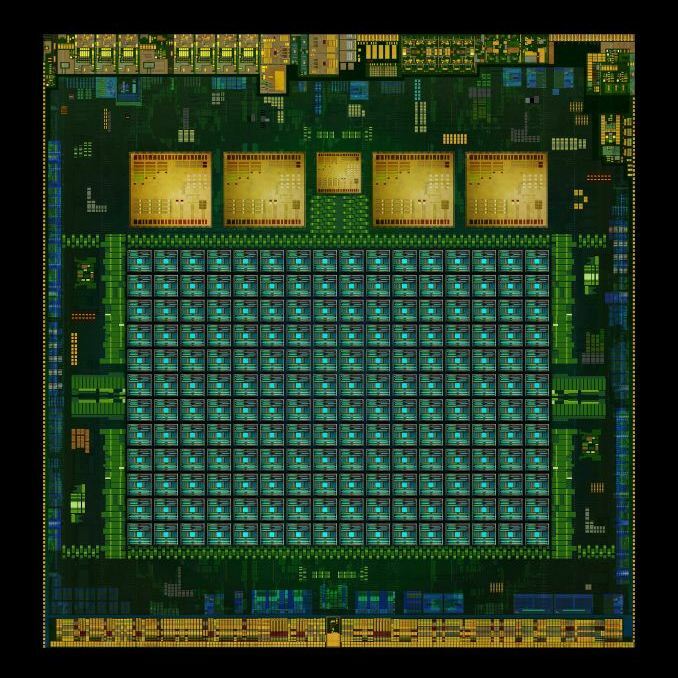 The rest of the "Chip" design was just the physical layout and did not represent anything. The rest of the Circle design was created to emulate other "Crop Circles". The most obvious part was that the comet has a smiley face.